You probably know Bert and Ernie from Sesame Street. Well, it is time to celebrate Bert's 47th birthday. Annie loves Bert and wants to throw him a party. I explained that Ernie is probably already doing that, yet it was a nice thought. But I think I set her up for disappointment - now she is waiting for an invitation! Wow! 47? 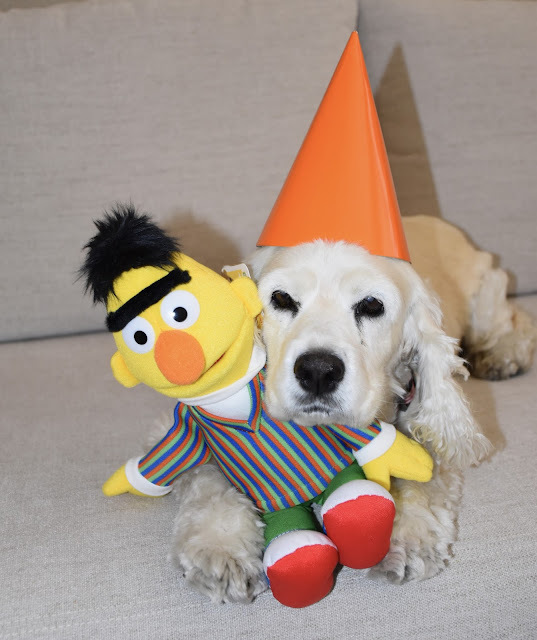 Bert doesn't look a day over 30! You could tell Annie that Ernie has invited everyone to have a treat at home in Bert's honor for his birthday. It's too hot right now for traveling. Maybe Bert will celebrate his half-year birthday next January. If you can, it's always good to celebrate TWO birthdays!